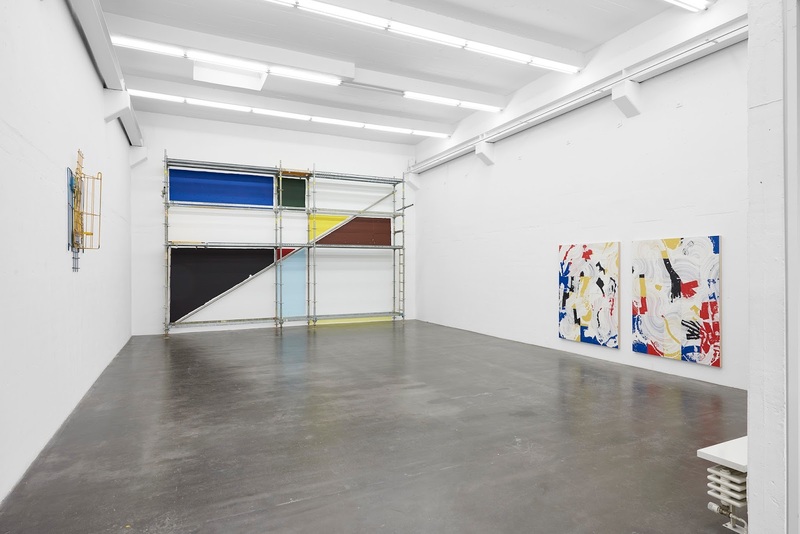 All Images: Courtesy Berthold Pott Gallery, Cologne, 2017. Keeping pulse of these developments from his studio in New York City, Evan Robarts draws a visual language that informs his latest body of work—his most political to date. 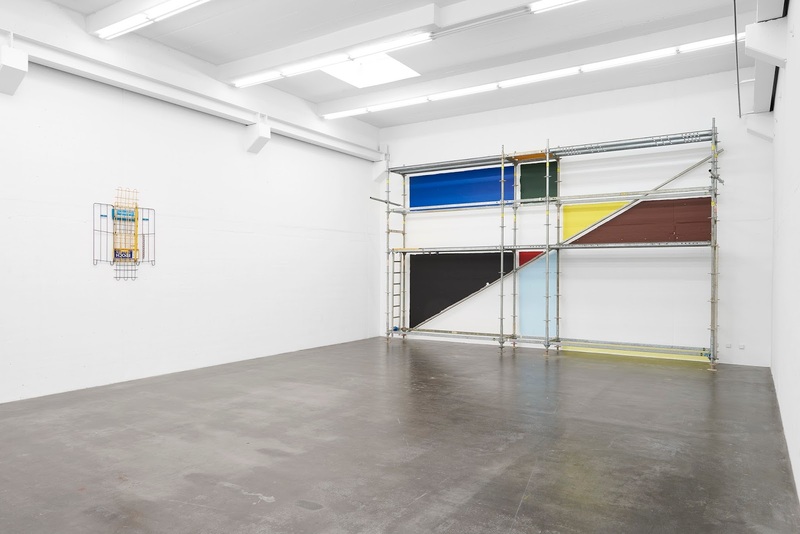 For his first solo show at Berthold Pott, he composed works that mine architectural details from New York and Cologne, as well as the worlds of labor politics, the media and the stifling, conservative values wedded to society and America itself. 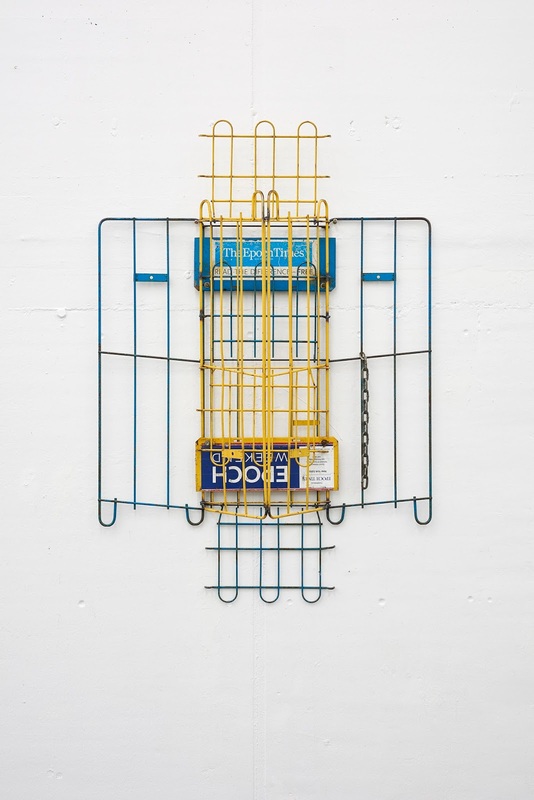 In the work Newspeak (2017), Robarts scavenged an Epoch Times—known for its uncensored reporting on China—newspaper rack from the streets of New York. In an act of “editing,” he pulled apart the grimy, caged structure, articulating its skeletal frame into an aviary form, in a commentary on free speech suppression and political indoctrination. In this way, he literally untangles the current state of reporting under threat, as well as obliquely referencing the wingspan of a bald eagle, free in flight across the unobstructed skies of America. 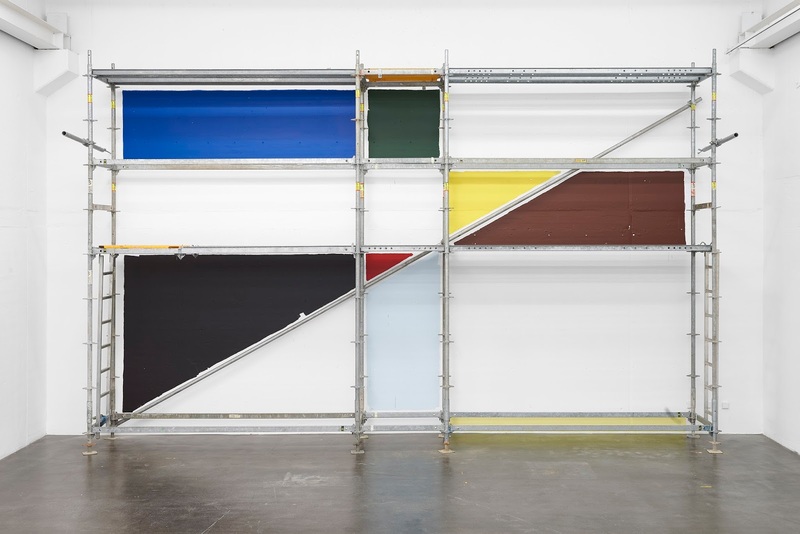 In a continuation of his studies subverting function, Robarts presents scaffolding structures sourced from Cologne that questions traditional painting and wall pieces. As markers of production and labor systems, as well as almost-invisible footnotes to the narratives of cityscapes and pedestrian journeys, the scaffolding plays a vital role in the context of a commercial gallery space. 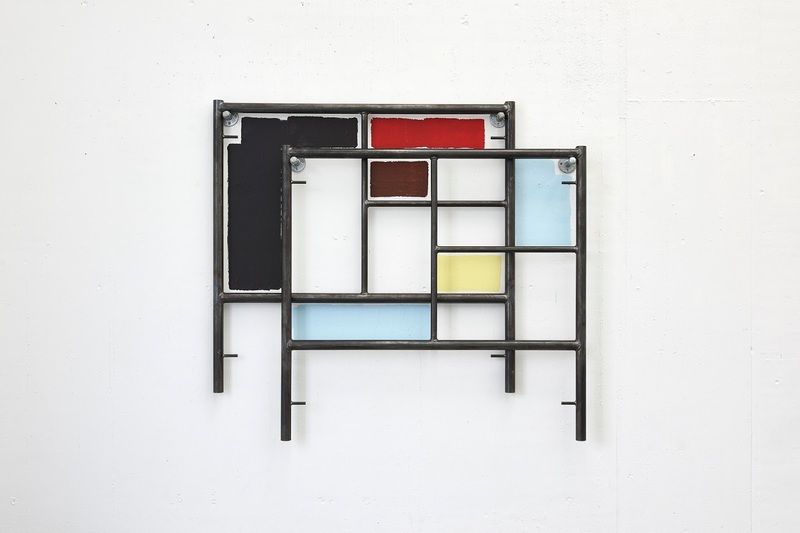 Territories of wall are marked with raw, bold pigments in a style reminiscent of Color Field paintings, demarcated by the steel bars that at once incarcerate and expose space. In this aggressive context, the viewers are confronted with consumerist hierarchies and labor exploitation. Robarts even stipulates that upon purchase, collectors must complete the work by painting the color swatches themselves, in a radical, politicized act of class reversal: the buyer becomes the hired hand. 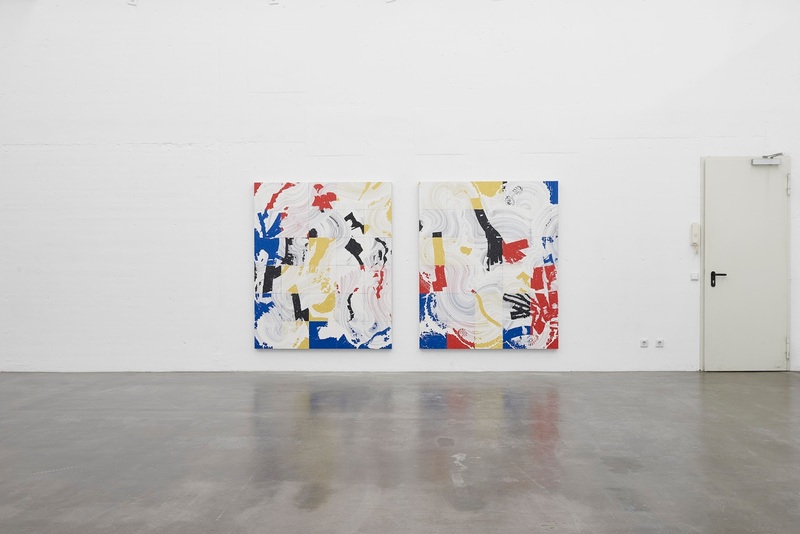 Finally, two paintings act as a discursive treatise to the cycles of expression and erasure. 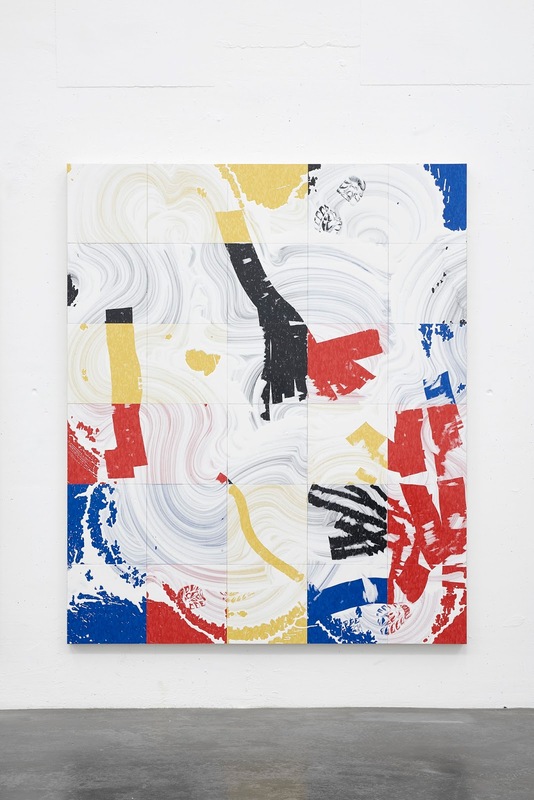 These new works are from Robarts’ ongoing mop paintings, in which he utilizes materials and gestures he encountered while working as a superintendent in New York’s tenant buildings. Mimicking janitorial work, he drags white plaster with a mop onto VCT tiles; with floor scrapers, he removes specific marks. In this quotidian process of addition and subtraction, Robarts manipulates—sometimes violently—the layers of plaster and its relationship to the surface, mirroring the stories that are shaped never by those they belong to, but by authorities of power, stakeholders and politicians. 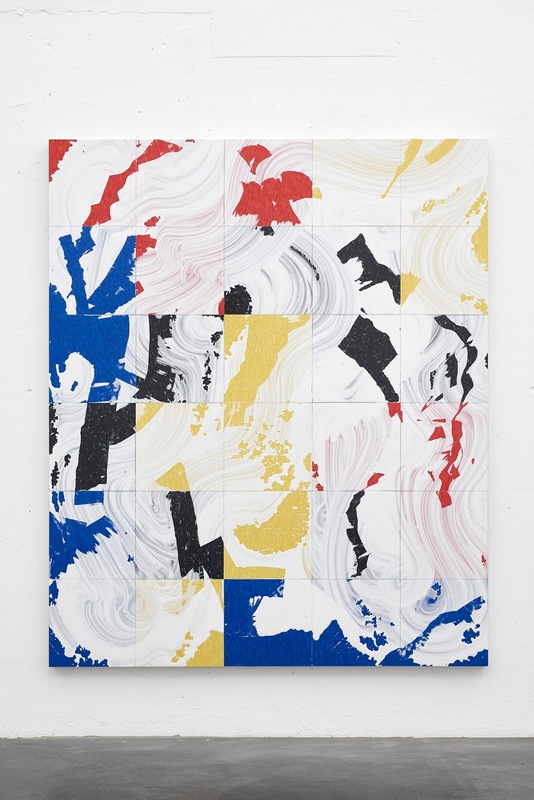 Evan Robarts is a New York-based artist. He has previously held solo shows at The Hole, New York, USA; Bryce Wolkowitz, New York, USA; and Galerie Jeanrochdard, Brussels, Belgium. 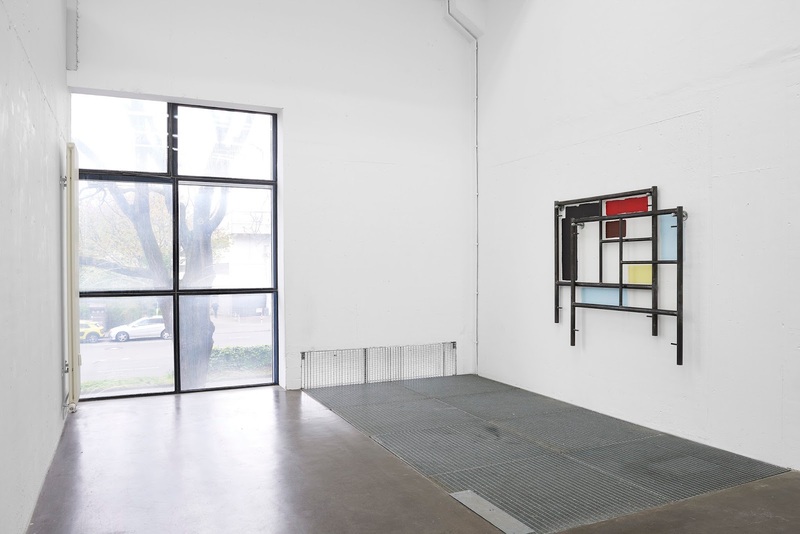 Recent group exhibitions include “Daily Formalism”, curated by MAB Society,at Bank Gallery, Shanghai, China; “Not Really Really”, curated by Frédéric de Goldschmidt and Agata Jastrząbek, at Quai du Commerce 7, Brussels, Belgium; “Today/Morrow”, curated by Romain Dauriac, at Balice Hertling, New York, USA; “Wayfarers”, at Berman Museum, Ursinus College, Collegeville, USA; “Brand New Second Hand”, at Vigo Gallery, London, England; “11/16/13”, curated by Violet Dennison at Violets Café, New York, USA; “Homebody”, curated by Louis Eisner and Alex Perweiler, at The Still House Group, New York, USA; and at the Martin Margulies Collection in Miami, USA.